As you all know that I’m not a big fan of sweets (cakes are exception though)… Still, I absolutely love a few authentic ones i.e. 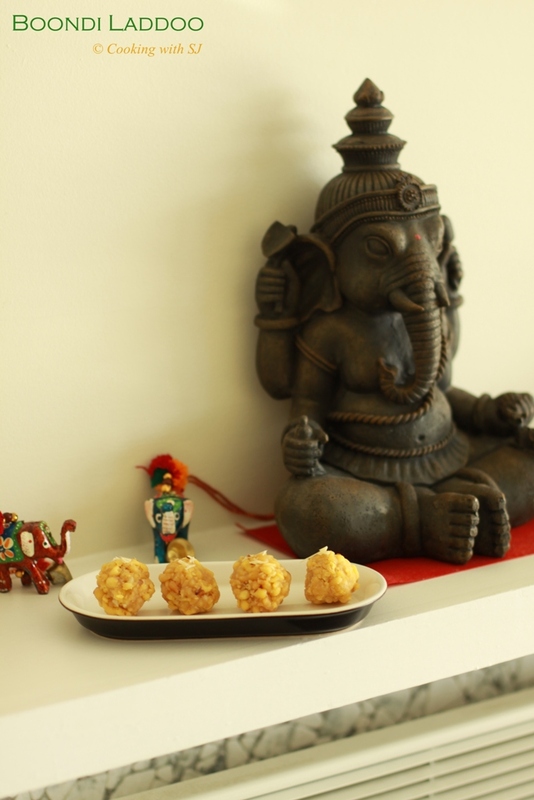 Malai Peda, GulabJamun n yes, Boondi Laddoo :P Well, I never thought of making these beauties at home but since I didn’t have many options left here… yes, I made it last year and soon will make again before ‘Ganesh Utsav’ starts :) I think these laddoos are must-have sweets for pretty much all the Indian festivals, no??!!! Sieve gram flour and baking soda in a mixing bowl and make a smooth, lump-free batter by adding water as required. Take sugar and water in a pan and heat them up together to form a syrup of one string consistency. Heat oil in a frying pan, take a ladle (frying one) and pour a couple of tbsp batter onto it to make boondi. Let the batter drip down forming drops and you keep the ladle moving in pan to cover all the sides so they don’t overlap. Repeat the same until you finish all batches. Before the boondis start getting crisp, take them out to an absorbent paper and then soak them in sugar syrup. Add in cardamom powder and quickly, grease your palms with ghee and start making laddoos out of it before sugar gets crystalized! Garnish with slivered almonds and serve! 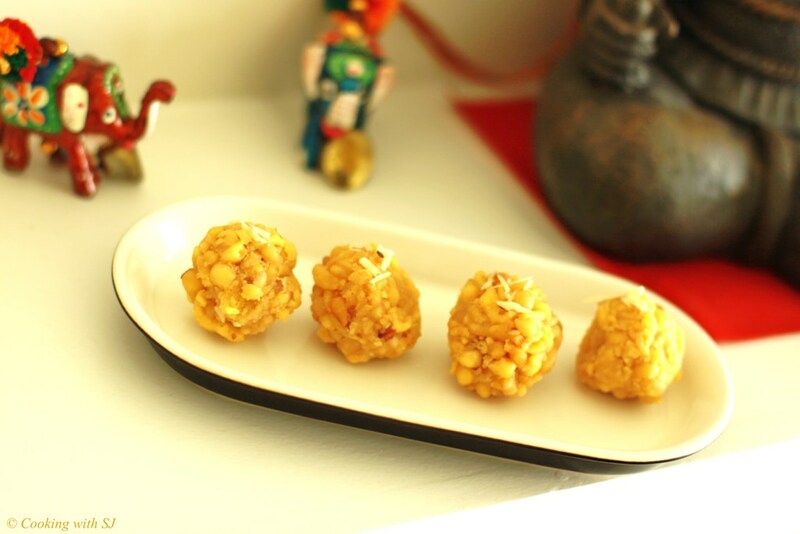 Do take some extra care as the mix will be a bit hot to handle while you form laddoos. You can also add some cashews/raisins/almonds (fried in ghee) if you want!! !